Cirque Bouffon was created in 1999 by Frederic Zipperlin alias Boul and Anja Krips. Zipperlin, former member of the worldly famous Cirque du Soleil, carries out with his company Cirque Bouffon a new kind of artistic theatre based on the philosophy of Nouveau Cirque. A whole and unique aesthetic artwork emerges from the connection of elements such as circus artistry, comedy, music, theatre and dance. A story that abruptly and charmingly kidnaps the viewer and takes them to the parallel world of the “Bouffon”, putting a spell on them by the means of amazing images full of poetry. The idea of an European artistic circus is still largely unknown in the German-speaking area. The currents of the Nouveau Cirque connect the origins of the French circus philosophy with a modern visual implementation. Developed in France in the 80s, Nouveau Cirque has been evolving to its present form in the last ten years and has in consequence achieved worldwide recognition for its unique pioneering role and its outstanding artistic quality. 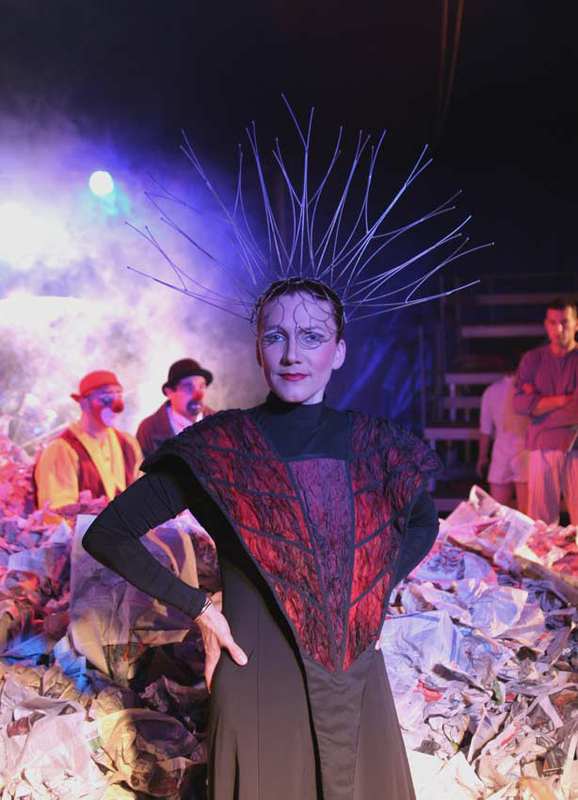 Cirque Bouffon seizes this philosophy and dares to break the conventional aesthetic of circus and creates its own, unmistakable genre: no more circus numbers following each other, but dramaturgically crafted performances that bring to the viewer the feeling of experiencing the world of the Bouffon personally and straightforwardly. Nouveau Cirqueís influence, Cirque Bouffonís philosophy and the stylistics of contemporary music: it all comes together as an aesthetic whole art-work under the musical direction of the composer Sergej Sweschinskij, bringing the viewers to amazement, laughter and above all to dream.